I think the last time I watch ‘The Biggest Loser’ was about 5 years ago. AGES! I used to like the show a lot, but then gave up on all reality television. I was spending way too much time invested in the genre. For the sake of my sanity, I had to let it all go. But now that I have all the time in the WORLD, I started up again with the weight loss show. I L-I-T-E-R-A-L-L-Y lose it once or twice an episode. You really end up FEELING for this group because so much of the show is about the WHY and not the HOW. Sure, the teams are overweight but that’s not the real story, right? It’s more about WHY they’ve let themselves get so unhealthy. When the trainers finally get to that subconscious thought and the contestants break down, I start rolling on the floor because we can all relate to those feelings. I’m not worth the effort. Oh my word. I can’t!!! You just want to hunt these people down and give them a big HUG. But the show also serves as a reminder that we should let go of those thoughts as well. No matter how embedded they are in our minds. 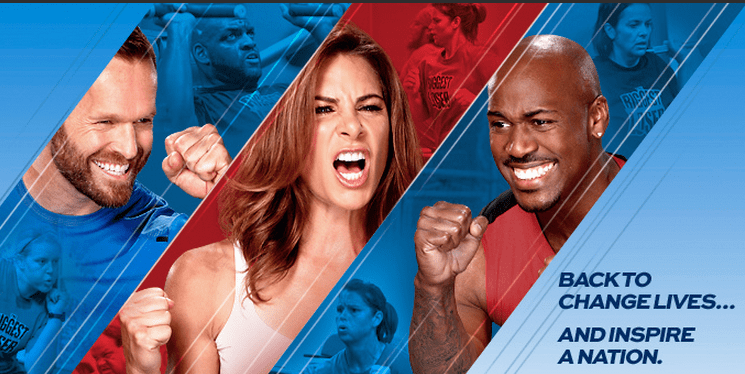 Are you a ‘The Biggest Loser’ fan? Do you cry as much as I do!? I *just* started watching it this season. I too am fascinated when the trainers turn into therapists, and I love how they, with their “perfect” bodies really see the contestants’ true selves and believe in them. I sound so cheeser, but I love this show!